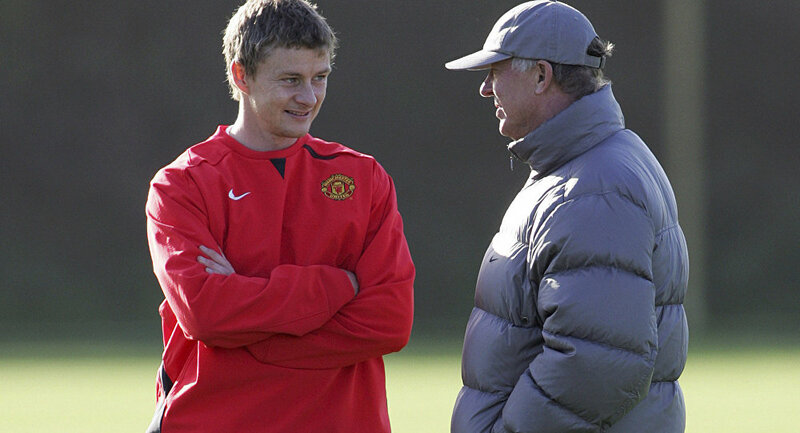 Ole Gunnar Solskjaer has been named as Manchester United's caretaker manager until the end of the season. Sputnik profiles the new man in the dugout. After the sacking of Jose Mourinho on Tuesday, December 18, United's board made it clear they wanted to make a long-term appointment in the summer of 2019. So they have turned to the former United striker to take charge of the first team but it is highly unlikely he will get the job full-time in May. "Manchester United is in my heart and it's brilliant to be coming back in this role. I'm really looking forward to working with the very talented squad we have, the staff and everyone at the club," said the 45-year-old Norwegian on Wednesday, December 19. ​"Ole is a club legend with huge experience, both on the pitch and in coaching roles," said the club's vice chairman Ed Woodward. Born in Kristiansund, the Norseman began playing football for his local club, Clausenengen before making a move to top Norwegian club Molde, for whom he scored 31 goals in 38 games. That phenomenal return earned him a £1.5 million move to Old Trafford in 1996. United outbid Hamburg, Cagliari and Manchester City for his services. I don't understand some of the negativity about Solskjaer. United are obviously after Pochettino (or possibly someone else currently in a job) at the end of the season. It's a free hit in a season most supporters have already given up on. ​Many pundits thought the 23-year-old Solskjaer might be too short (he is actually five feet 10 inches tall, but often looked smaller) and slight to be successful as a striker in the Premier League. But he would prove them wrong, scoring on his debut against Blackburn in August 1996 and going on to score 18 goals in that season, helping United retain the Premier League title. Nicknamed the "baby-faced assassin" for his youthful looks, he spent much of his time at the club as the third or fourth choice striker, behind Eric Cantona, Andy Cole, Dwight Yorke or Teddy Sheringham, or later behind Ruud van Nistelrooy who Sir Alex Ferguson chose to play up front on his own. ​In February 1999 he came on as a substitute at Nottingham Forest and scored four goals in an 8-1 destruction. But he wrote his name in the history books during the 1999 Champions' League final against Bayern Munich in Barcelona. United were without two of their best players — Paul Scholes and Roy Keane — and it showed in the first half as Bayern stormed into the lead with a sixth minute goal from Mario Basler. Despite getting the "hairdryer" treatment from Sir Alex at half time United remained sluggish in the second half and looked like surrendering meekly until a double substitution. 🗣️ “I would [build the team around him], absolutely no doubt." ​Sheringham came on in the 67th minute and Solskjaer was brought on with only nine minutes of the match left, and United still trailing 1-0. In the 90th minute Sheringham scrambled home an unlikely equaliser and the game looked destined for extra time. But Solskjaer had other ideas. With 40 seconds left of injury time David Beckham took a corner, Sheringham headed it down and the Norwegian poked the ball into the net, causing absolute pandemonium in the Nou Camp and on the streets of Manchester. There was no time for Bayern to come back and United won the Champions' League, becoming the first team in the Premier League era to win the triple — Premiership, FA Cup and Champions' League. I'm all in on Ole Gunnar Solskjær taking over for the next six months, along with Mike Phelan. No expectations on silverware or league position, just want to see attacking football return. ​A video of that goal was played on the United website on Wednesday morning, unwittingly giving the game away that Solskjaer had got the job. Ironically his first game in charge will be Saturday's trip to Cardiff, who he managed between January and September 2014. He failed to prevent them being relegated from the Premier League, and returned o Molde, who he managed between 2011 and 2014 and again between 2015 and this week.